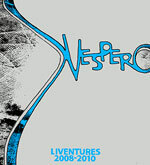 LIVENTURE series includes official live albums by the Russian space-art-rock band VESPERO. As opposed to live bootlegs, all albums in the series were professionally recorded, mixed, and mastered. No overdubs however. Featured are exclusive versions of the album-tracks or compositions which do not appear on the band’s studio albums. 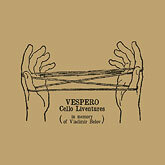 Most of the LIVENTURE albums are FREE-TO-DOWLOAD from here by courtesy of VESPERO and respective publishers. “Cello Liventures” is an unique collection of instrumental improvisations performed live by VESPERO with a cellist Vladimir Belov, who tragically passed away on June 7, 2014. This album was produced by the band in Vladimir’s memory. Features the line-up of Vladimir Belov (cello), Ivan Fedotov (drums, percussion), Arkady Fedotov (bass, synths), Alexander Kuzovlev (guitars, effects), and Alexey Klabukov (keyboards, synths), as well as the guest-appearance by Andrey Petrov (guitars, effects) of GDEVA. Recorded live with no overdubbs, mixed, and mastered by Alexander Kuzovlev. The disc edition is limited to 60 pcs: professionally duplicated CD-R (7 tracks – 73 min.) comes inside a hand-made oversized rough pasteboard case with silkscreen printing. Free streaming and high-quality digital download of the album is available through Official R.A.I.G. Bandcamp. Reviews: New Underground Music (The Netherlands), Progpraat! (The Netherlands), Autopoietican (Peru). A collectable DVD-release of live music recorded from 2008-2010 in Astrakhan, Saint-Petersburg, and Moscow. Contains the highlights from the band's three studio albums and one yet unpublished composition. Features the core line-up of Ivan Fedotov (drums), Arkadiy Fedotov (bass), Alexander Kuzovlev (guitar), and Alexei Klabukov (synths), as well as guest-appearances from Natalya Tjurina (vocals), Vladimir Belov (cello), Valentin Rulev (violin), and Alexei Esin (flute). Sound Production by Alexander Kuzovlev. Video Production by Arkadiy Fedotov. Limited to 100 pcs: professionally duplicated DVD-R (12 tracks – 76 min.) comes inside a hand-made silkscreen cardboard folder (blue-n-black colors over silver & grey cardboard). Designed and hand-printed by Maxim Ionov. 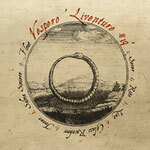 The second release of the series, "Liventure #21" includes the instrumental highlights of the band's various stage performances in the course of 2009. Performed by Ivan Fedotov (drums, percussion), Arkadiy Fedotov (bass, oscillations, voice), Alexander Kuzovlev (guitars), Alexei Klabukov (keyboards), and Vladimir Belov (cello) with the guest appearances of Valentin Rulev (violin, keyboards). "Cosmos" and "Turquoise" were recorded by Alexander Kuzovlev and Alexei Klabukov at the Union of Theater Artists in Astrakhan. "Silver Rainbow" and "Crabs Ashore" were recorded by Vladimir Belov at the Pustye Holmi Open Air in Kaluga. "Lino" was recorded by Maxim Haikin at the InRock Fest in Moscow. Mixed and mastered by Alexander Kuzovlev. (5 tracks – 40 min.). Golden Pavillion Records from Portugal released a limited LP edition of "Liventure #21" on 180g black vinyl on October 29, 2010. The LP version includes an additional track "Silence Breath Echo" and is mastered by Alisa Coral. 300 copies came in mouth-watering gold foil and textured sleeves with stunning artwork-design by ZonderZond. Reviews: ProgArchives (USA), Psyche Folk (Belgium). 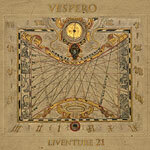 "Liventure #19" is the first release of so-called "Liventure" series by VESPERO. This live album features 6 previously unpublished compositions and 1 track from the internationally acclaimed "Rito" debut CD (R024, RAIG). Performed by Ivan Fedotov (drums, percussion), Arkadiy Fedotov (bass, flute, vox), Alexander Kuzovlev (guitar, electronics), Alexei Klabukov (keyboards, button accordion), Natalya Tjurina (lead vox, synths). Recorded by Ivan Klyutsev at the Union of Theatre Artists in Astrakhan on June 21, 2008. Mixed and mastered by Alexader Kuzovlev. (7 tracks – 49 min.). Original artwork by ZonderZond. 200-ltd. pro-duplicated CD-R edition in a cardboard sleeve. Reviews: ProgArchives (USA), Progressive Area (France).